Grails framework is also based upon open source technologies such as Spring, Hibernate, and SiteMesh, which gives it even more powerful and ideal for Java developers. The Spring provides powerful inversion of control and MVC, Hibernate brings a stable, mature object-relational mapping technology with the ability to integrate with legacy systems, and SiteMesh handles flexible layout control and page decoration. I am assuming you are familiar with the Groovy programming language, but if you are not, I suggest you to first go through a good book on Groovy itself e.g. Making Java Groovy, which is an excellent introduction of Groovy for Java developer. If you prefer online courses, you can also join The Complete Apache Groovy Developer course, one of the best resources to get up-to-speed with Groovy. 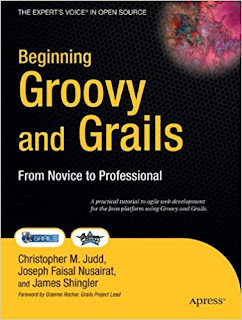 By going through this book or course, you will quickly get up-to-speed in Groovy to start with Grails. Without wasting any more time, here is my list of some of the best Grails books for Java and Groovy developers. 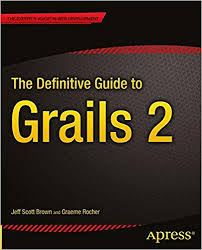 The Definitive Guide to Grails 2, by Jeff Brown and Graeme Rocher, is one of the most authoritative books written on Grails. The fact that, Jeff is a core Grails committer and Graeme is the head of the Grails project proves my point. The book is, as it says, definitive, though it's based on Grails 2.0 (the current version is Grails 3.3). Highly recommended. 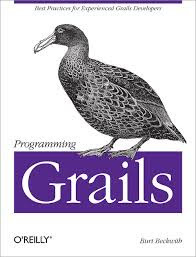 This is another great book to learn Grails framework. Authors Glen and Peter have covered most of the core features of Grails framework. This book is quite complementary to previous books. It talks about plugins, mapping to legacy databases, and even single-page apps, among other things. 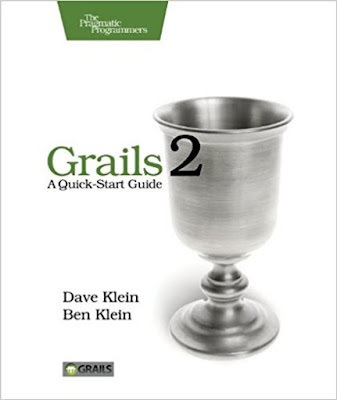 Grails 2: A Quick-Start Guide, by Ben and Dave Klein (Pragmatic Programmers). This is one of the best beginner books on Grails and you will simply love it. It's a clear, well-written tutorial that will teach you how to build a simple but non-trivial web site from start to finish. It may leave you wanting more (that's what the other books are for), but it's an awesome way to get started if you don't have any background in the Groovy or Gails. This should be everybody's second Grails book. It's written for developers with some Grails experience and shows what's actually going on under the hood. The discussion of Hibernate in Grails alone is worth the cost of the book and is better than most of the available Hibernate documentation. As the title suggest it best suited for developers who are using Grails framework in their day to day life and have good exposure to it. If you want to learn Grails in depth then you can read this book after reading one of the first three books in this list. That's all about some of the best books to learn Grails framework. As I said before, you must know Groovy before you start with Grails to get the most benefit of it. 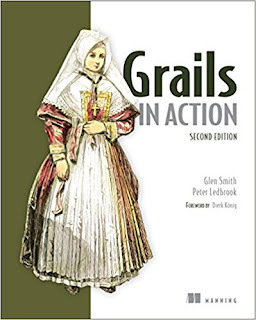 Even though most of the Grails book includes the basic introduction of Grails and Gradle framework, I recommend reading a good book or joining a course on Groovy first to understand its syntax and how it works. My favorite is The Complete Apache Groovy Developer course, but if you prefer books, you can check out my earlier list of good Groovy Books for Java developers. Thanks for reading this article so far. If you like my recommendation and found these book helpful in learning Grails then please share with your friends and colleagues. If you have any question or feedback or any other great Grails book to include in this list then please share with us.